She has the allure of yesterday, an appealing color of 2 tone pewter gray; Her body is ageless - timeless, her interior is draped in the best Connolly hides and has plenty of thick and richly laid out walnut wood with a beautiful lush carpet. She is smooth, distilled yet powerful; quiet and charming. 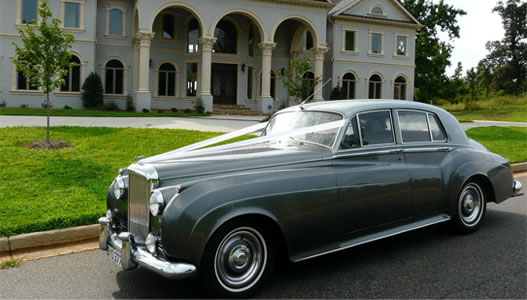 A regal way to arrive or depart your special day venue!